Alone in the Dark: Illumination brings you to the abandoned town of Lorwich, Virginia. Located near Virginia’s southern border, Lorwich was a flourishing industrial town with a bustling business generated by the local mines. These prosperous days came to an end when a flood devastated the mining facility, leaving behind nothing but destruction in its wake. The disaster forced an immediate evacuation, leaving the town desolate. It has been years since the accident, and the town has long been forgotten. But the cause of the accident is still a mystery, and years later, nobody dares step foot in the town for fear of what lies there. There have been numerous reports of strange creatures and a dark, brooding fog within the town. Some locals who believe in the supernatural say that there lurks an ever-present force known as The Darkness. The Darkness can reveal itself in many ways, such as fog, apparitions, and creatures. It has cast its spell over Lorwich, enveloping everything in its path. It is up to you to help defend the town by fighting back the Forces of Darkness. Alone in the Dark: Illumination features several campaigns with multiple levels that take players through the blasted landscape of Lorwich, Virginia, and deep below ground to unearth the mysteries of the forsaken township. Players fight off hordes of eldritch nightmares while using the power of illumination to light up maps and create safe zones to damage foes. 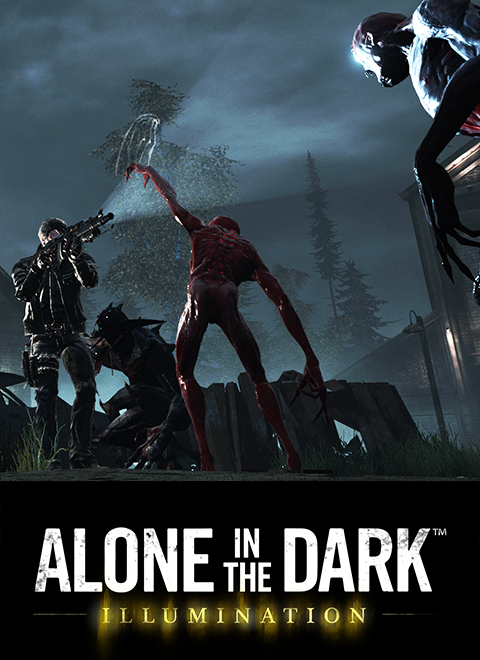 This latest installment of the Alone in the Dark franchise also includes a cooperative multiplayer option that allows gamers to battle The Darkness together with four distinct heroes - the Hunter, the Witch, the Priest and the Engineer, each of them leveling up their different skills. As part of the pre-order package on Steam, the private beta launch grants fans early access to the survival-action-horror game on January 29, 2015, with a chance to explore and provide feedback on the first campaign in single-player mode. One additional beta period will be announced in the weeks leading up to launch. Your participation in this sweepstakes means that you also agree to these terms and conditions. Atari has really lost the plot, this is a disgrace to the series which wasn't very good to begin with. Well this is new. Alone in the Dark getting another chance. Yes please and don't make another Inferno. I never played Alone in the Dark Inferno, why is everyone saying it's bad? Looks better than the last game. I hope this won't be a disaster like the last one.